Scientists of Friedrich Schiller University Jena and Jena University Hospital decode the antihypertensive impact of omega-3 fatty acids. Scientists of Jena University and Jena University Hospital now analyzed the impact of omega-3 fatty acids and described the underlying molecular mechanisms for the first time. 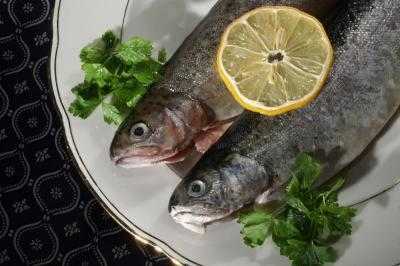 Fish is healthy: easy to digest and with a high level of precious proteins, fish is considered an important part of a healthy diet. And with the so-called omega-3 fatty acids fish contains real ‘fountains of youth’. These fatty acids – like docosahexaeonic acid (DHA) occur mostly in fatty fish like herring, salmon and mackerel. They are thought to lower the blood pressure, to strengthen the immune system and to have positive effects on the development on the nervous system and the cardiovascular system. “Clinical studies about the intake of nutritional supplements containing omega-3 fatty acids haven’t provided complete clarity so far,” Prof. Dr. Stefan H. Heinemann from Friedrich Schiller University Jena (Germany) says. “The molecular impact of the omega-3 fatty acids isn’t fully understood yet,” the biophysicist continues. But now scientists of the DFG research group FOR 1738 based at Jena University are able to bring new facts to light: in two newly published articles for the well-known science magazine ‘Proceedings of the National Academy of Sciences, USA’ they describe how they analyzed the impact of omega-3 fatty acids on a systemic level and they also described the underlying molecular mechanisms for the first time. The teams around Prof. Heinemann (Jena University), Prof. Dr. Michael Bauer (Jena University Hospital) and Prof. Dr. Toshinori Hoshi (University of Pennsylvania) were able to show that the so-called ‘SLO1′ potassium channel is an important component in the effectiveness of omega-3 fatty acids. “These ionic channels act like very specific receptors for DHA and are opened by the binding of the omega-3 fatty acids,” Biophysicist Heinemann explains. In the case of other omega-3 fatty acids – like the shorter eicosapentaenoic acid (EPA) or the alpha-linolenic acid (ALA) extracted from plants – the impact is much weaker. Prof. Bauer and his colleagues examined the effects of omega-3 fatty acids on SLO1 channels of the cardiovascular system by experimenting with mice. “Administration of DHA should result in an expansion of the blood vessels and consequently a drop in blood pressure,” the physician says. The laboratory experiments confirmed exactly that. In genetically modified mice however, which were not able to produce the SLO1 channel, the antihypertensive impact of DHA failed to appear. “Thus we were able to show for the first time that DHA directly influences the blood pressure, which is being mediated through SLO1 channels,” Bauer summarizes. Beyond that, the scientists made another surprising discovery: a variant of DHA, which can often be found in nutritional supplements containing omega-3 fatty acids, doesn’t show an antihypertensive effect. Moreover, it suppresses and even diminishes the effect of the natural DHA from fish oil. 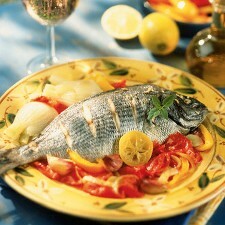 “The intake of non-natural omega-3 fatty acids can therefore also have counter-productive effects,” Prof. Bauer stresses. This is of particular importance for the nutritional supplements of patients in intensive care who are being drip-fed: their supplements of omega-3 fatty acids should be specifically aimed at and adapted to the patients’ clinical requirements. University of Pittsburgh researchers publish first-ever Omega-3 study on a population at the “top of its cognitive game”. While Omega-3 essential fatty acids—found in foods like wild fish and grass-fed livestock—are necessary for human body functioning, their effects on the working memory of healthy young adults have not been studied until now. In the first study of its kind, researchers at the University of Pittsburgh have determined that healthy young adults ages 18-25 can improve their working memory even further by increasing their Omega-3 fatty acid intake. 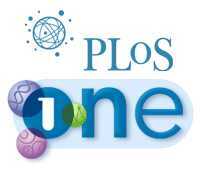 Their findings have been published online in PLOS One. Led by Rajesh Narendarn, project principal investigator and associate professor of radiology, the Pitt research team sought healthy young men and women from all ethnicities to boost their Omega-3 intake with supplements for six months. They were monitored monthly through phone calls and outpatient procedures. After six months of taking Lovaza—an Omega-3 supplement approved by the Federal Drug Administration—the participants were asked to complete this series of outpatient procedures again. It was during this last stage, during the working memory test and blood sampling, that the improved working memory of this population was revealed. Although the effects of Omega-3s on young people were a focus, the Pitt team was also hoping to determine the brain mechanism associated with Omega-3 regulation. Previous rodent studies suggested that removing Omega-3 from the diet might reduce dopamine storage (the neurotransmitter associated with mood as well as working memory) and decrease density in the striatal vesicular monoamine transporter type 2 (commonly referred to as VMAT2, a protein associated with decision making). Therefore, the Pitt researchers posited that increasing VMAT2 protein was the mechanism of action that boosted cognitive performance. Unfortunately, PET imaging revealed this was not the case. Ongoing animal modeling studies in the Moghaddam lab indicate that brain mechanisms that are affected by Omega-3s may be differently influenced in adolescents and young adults than they are in older adults. With this in mind, the Pitt team will continue to evaluate the effect of Omega-3 fatty acids in this younger population to find the mechanism that improves cognition. Other Pitt researchers involved in the project include William G. Frankle, professor of psychiatry, and Neal S. Mason, research assistant professor of radiology. Narendran R, Frankle WG, Mason NS, Muldoon MF, Moghaddam B. Improved working memory but no effect on striatal vesicular monoamine transporter type 2 after omega-3 polyunsaturated Fatty Acid supplementation. PLoS One. 2012;7(10):e46832. doi: 10.1371/journal.pone.0046832. Epub 2012 Oct 3. Scientists today agree that there are five molecules that are known to affect or cause Alzheimer’s disease, which plagues an estimated five million Americans. The potency of these molecules is linked to environmental factors such as diet and lifestyle. 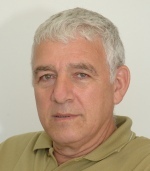 Professor Daniel Michaelson of Tel Aviv University’s Department of Neurobiologyat the George S. Wise Faculty of Life Sciences has illuminating news about one of these five molecules — APOE, created by the apolipoprotein E gene found in all of our bodies. Professor Michaelson says APOE comes in two forms, a “good” APOE gene and a “bad” APOE gene, called APOE4. 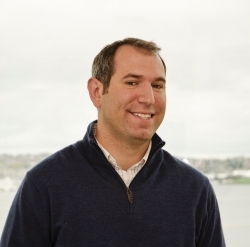 He has developed animal models to investigate the effects of diet and environment on carriers of APOE4, the presence of which is a known risk factor for Alzheimer’s. It appears in 50% of all Alzheimer’s patients, and in 15% of the general population which due to APOE4 is the population which is at risk of getting the disease. The good news? A diet high in Omega 3 oils and low in cholesterol appears to significantly reduce the negative effects of the APOE4 gene in mouse models. 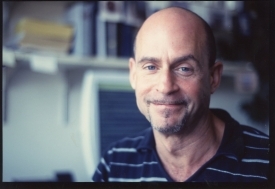 In differentiating between the good and bad variants of the APOE gene, Professor Michaelson and his team studied many variables. They determined that while a rich and stimulating environment is good for carriers of “good” APOE, the same environment has a negative effect on those at risk for Alzheimer’s because they carry the APOE4 gene. While this environment stimulated the formation of new neuronal connections in the “good APOE” mice, it caused the death of brain neurons in the “bad APOE” mice. The stimulating environment included running wheels and tubes for hiding and sliding, as well as ropes and other toys for the mice to play on, replaced and updated with new toys weekly. Those in a non-stimulating environment had access to no toys at all. “Conditions that are generally considered good can be harmful if the mouse is a carrier of the APOE4 gene. Extrapolating this to the human population, individuals with the bad APOE4 gene are more susceptible to stress caused by an environment that stimulates their brain,” says Professor Michaelson. “The main take-away message here is that good diets can alleviate the effects of bad genes. Of course nutritionists have had this general idea for a while, but it’s nice to be able to show that this approach can be applied to specifically counteract the negative effects of Alzheimer’s disease-related genes,” says Professor Michaelson. Kariv-Inbal Z, Yacobson S, Berkecz R, Peter M, Janaky T, Lütjohann D, Broersen LM, Hartmann T, Michaelson DM. The isoform-specific pathological effects of apoE4 in vivo are prevented by a fish oil (DHA) diet and are modified by cholesterol. J Alzheimers Dis 2012; 28 (3): 667-83. Omega-3 fatty acids may help to reduce the physical harm caused by smoking, according to a new study presented yesterday (20 April 2012) at the World Congress of Cardiology in Dubai, United Arab Emirates. The study, carried out in Greece, assessed the effect of four-week oral treatment with 2 g/day of omega-3 fatty acids on the arterial wall properties of cigarette smokers. The results showed that short-term treatment with omega-3 fatty acids improves arterial stiffness and moderates the acute smoking-induced impairment of vascular elastic properties in smokers. A possible link between what a mother eats during pregnancy and the risk of her child developing allergies has been identified in new research published in this month’s The Journal of Physiology. The research found that if a mother’s diet contains a certain group of polyunsaturated fatty acids (PUFAs) – such as those found in fish, walnut oil or flaxseed – the baby’s gut develops differently. The PUFAs are thought to improve how gut immune cells respond to bacteria and foreign substances, making the baby less likely to suffer from allergies. Until now, several clinical trials have shown that fish and walnut oil supplementation in pregnant women reduces the risk of allergy in their children, but the mechanism was unknown. “There is intense research interest in maternal diet during pregnancy. In the western diet, the group of polyunsaturated fatty acids that we have shown to help gut function are actually disappearing – our dietary intake of fish and nut oils is being replaced by corn oils which contain a different kind of fatty acid”. Said Dr Gaëlle Boudry, of the INRA research institute in Rennes, France. The team found that supplementing a mother’s diet with n-3PUFA caused the new-born’s gut to become more permeable. A more permeable gut enables bacteria and new substances to pass through the lining of the gut into the bloodstream more easily. These new substances then trigger the baby’s immune response and the production of antibodies. “The end result is that the baby’s immune system may develop and mature faster – leading to better immune function and less likelihood of suffering allergies,” added Dr Boudry. This research adds to previous studies which have shown that an intake of n-3 PUFAs during pregnancy increases gestational length and maturation of the central nervous system of a baby and that their performance on mental tasks also seemed to be improved in childhood. In terms of next steps, the team’s findings were based on piglets so research will continue to see if they translate to humans. The porcine intestine is an excellent model of the human gut however, so they are hopeful that the findings can be extrapolated. The team also plans to investigate whether the apparent gut function-boosting effects of n-3PUFA that they have identified in new-borns extends into later life. De Quelen F, Chevalier J, Rolli-Derkinderen M, Mourot J, Neunlist M, Boudry G. n–3 polyunsaturated fatty acids in the maternal diet modify the postnatal development of nervous regulation of intestinal permeability in piglets J Physiol 2011; 589 (17): 4341-4352. A diet rich in omega-3s reduces the severity of brain damage after a stroke, according to a study conducted by Université Laval researchers. The team, co-directed by professors Jasna Kriz and Frédéric Calon, showed that the extent of brain damage following a stroke was reduced by 25% in mice that consumed DHA type omega-3s daily. 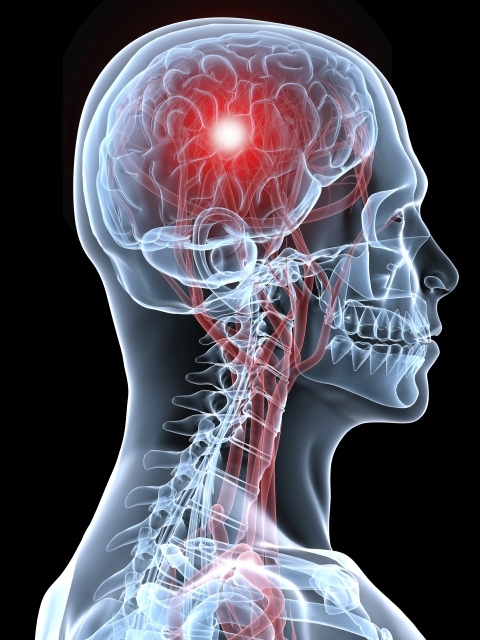 Details of the study can be found on the website of the journal Stroke. Researchers observed that the effects of stroke were less severe in mice that had been fed a diet rich in DHA for three months than in mice fed a control diet. In mice from the DHA group, they saw a reduction in the concentrations of molecules that stimulate tissue inflammation and, conversely, a larger quantity of molecules that prevent the activation of cell death. “This is the first convincing demonstration of the powerful anti-inflammatory effect of DHA in the brain,” underscored Frédéric Calon of Université Laval’s Faculty of Pharmacy. This protective effect results from the substitution of molecules in the neuronal membrane: DHA partially replaces arachidonic acid, an omega-6 fatty acid known for its inflammatory properties. Professor Calon believes that this anti-inflammatory effect is likely transferable to humans. “Since DHA is readily available, inexpensive, and reduces the risk of a number of health problems without causing significant side effects, the risk–benefit ratio tends to favor the regular consumption of fish or DHA,” he concluded. Lalancette-Hébert M, Julien C, Cordeau P, Bohacek I, Weng YC, Calon F, Kriz J. Accumulation of Dietary Docosahexaenoic Acid in the Brain Attenuates Acute Immune Response and Development of Postischemic Neuronal Damage. Stroke 2011 Aug 18. [Epub ahead of print]. Increased blood levels of omega-3 fatty acids from plant or marine sources are associated with reduced risk of type-2 diabetes, according to three new studies in the American Journal of Clinical Nutrition. 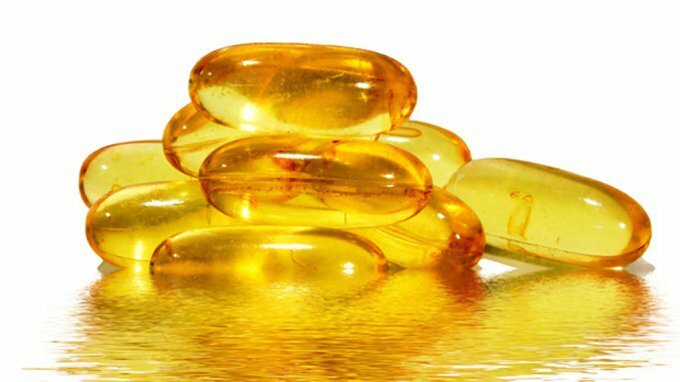 The prevention of type 2 diabetes: should we recommend vegetable oils instead of fatty fish? First published online July 6, 2011. First published online May 18, 2011. First published online June 15, 2011. COLUMBUS, Ohio – A new study gauging the impact of consuming more fish oil showed a marked reduction both in inflammation and, surprisingly, in anxiety among a cohort of healthy young people. The findings suggest that if young participants can get such improvements from specific dietary supplements, then the elderly and people at high risk for certain diseases might benefit even more. The findings by a team of researchers at Ohio State University were just published in the journal Brain, Behavior and Immunity. It is the latest from more than three decades of research into links between psychological stress and immunity. Omega-3 polyunsaturated fatty acids, such as eicosapentaenoic acid (EPA) and docosahexaenoic acid (DHA), have long been considered as positive additives to the diet. Earlier research suggested that the compounds might play a role in reducing the level of cytokines in the body, compounds that promote inflammation, and perhaps even reduce depression. Psychological stress has repeatedly been shown to increase cytokine production so the researchers wondered if increasing omega-3 might mitigate that process, reducing inflammation. To test their theory, they turned to a familiar group of research subjects – medical students. Some of the earliest work these scientists did showed that stress from important medical school tests lowered students’ immune status. “We hypothesized that giving some students omega-3 supplements would decrease their production of proinflammatory cytokines, compared to other students who only received a placebo,” explained Janice Kiecolt-Glaser, professor of psychology and psychiatry. The team assembled a field of 68 first- and second-year medical students who volunteered for the clinical trial. The students were randomly divided into six groups, all of which were interviewed six times during the study. At each visit, blood samples were drawn from the students who also completed a battery of psychological surveys intended to gauge their levels of stress, anxiety or depression. The students also completed questionnaires about their diets during the previous weeks. Half the students received omega-3 supplements while the other half were given placebo pills. “The supplement was probably about four or five times the amount of fish oil you’d get from a daily serving of salmon, for example,” explained Martha Belury, professor of human nutrition and co-author in the study. Part of the study, however, didn’t go according to plans. Changes in the medical curriculum and the distribution of major tests throughout the year, rather than during a tense three-day period as was done in the past, removed much of the stress that medical students had shown in past studies. “These students were not anxious. They weren’t really stressed. They were actually sleeping well throughout this period, so we didn’t get the stress effect we had expected,” Kiecolt-Glaser said. But the psychological surveys clearly showed an important change in anxiety among the students: Those receiving the omega-3 showed a 20 percent reduction in anxiety compared to the placebo group. An analysis of the of the blood samples from the medical students showed similar important results. “We took measurements of the cytokines in the blood serum, as well as measured the productivity of cells that produced two important cytokines, interleukin-6 (IL-6) and tumor necrosis factor alpha (TNFa),” said Ron Glaser, professor of molecular virology, immunology & medical genetics and director of the Institute for Behavioral Medicine Research. “We saw a 14 percent reduction in the amounts of IL-6 among the students receiving the omega-3.” Since the cytokines foster inflammation, “anything we can do to reduce cytokines is a big plus in dealing with the overall health of people at risk for many diseases,” he said. While inflammation is a natural immune response that helps the body heal, it also can play a harmful role in a host of diseases ranging from arthritis to heart disease to cancer. While the study showed the positive impact omega-3 supplements can play in reducing both anxiety and inflammation, the researchers aren’t willing to recommend that the public start adding them to the daily diet. Some of the researchers, however, acknowledged that they take omega-3 supplements. Also working on the research with Kiecolt-Glaser, Glaser and Belury were William Malarkey, professor emeritus of internal medicine, and Rebecca Andridge, an assistant professor of public health. The study was supported in part by a grant from the National Center for Complementary and Alternative Medicine, a part of the National Institutes of Health.